AUGUSTA, Maine — While Gov. Paul LePage and U.S. Rep.-elect Bruce Poliquin were the ones giving victory speeches after Election Day, it’s arguable that another Republican was an equal winner: political strategist Brent Littlefield. A consultant who crafted the successful campaigns of both LePage and Poliquin, Littlefield proved beyond a doubt in 2014 that he’s got a winning strategy for electing conservative Republicans in Maine. But he’s not telling anybody what that strategy is. 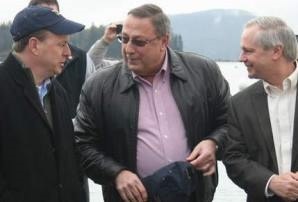 After Littlefield helped secure what many political observers deemed an improbable victory for LePage in 2010, the governor’s then-campaign chief of staff called Littlefield an “important cog” in the campaign’s machine. This year, LePage and Poliquin both defied the expectations of many political observers, earning the consultant even higher praise from party officials. The governor won by nearly 5 points after pundits and polls predicted a neck-and-neck result between LePage and his Democratic challenger, U.S. Rep. Mike Michaud. National publications had repeatedly named LePage one of the most vulnerable incumbents in the country, but he received about 10 percent more of the vote in 2014 than he did in 2010, when Littlefield first joined the governor’s team. Poliquin — who had run unsuccessfully for governor and the U.S. Senate in the two previous cycles — put a cap this year on the meteoric rise of state Sen. Emily Cain, his Democratic opponent, and he became the first Republican to win the 2nd Congressional District seat since 1992. He won thanks in part to a compelling personal story of business success and personal tragedy. [After working on campaigns in Maine, he] took his talents to Washington, where he worked as political director for the National Federation of Independent Businesses before co-founding a political consulting firm in 2000. In 2008, he broke off on his own to start Littlefield Consulting, and he made several appearances on the [national] cable news circuit. Unlike many of the highly specialized consultants in the Beltway, Littlefield said he is involved in nearly every aspect of his clients’ campaigns. He serves as a media contact, takes the lead in crafting all advertising and messaging, and works with data, pollsters and other campaign staff. He said he’s worked with some clients who gave him a more limited role, but he didn’t like it. This year, LePage — who’s known for occasional off-the-cuff comments that do him few favors — rarely released a campaign schedule, and Littlefield and his team often refused reporters’ attempts to interview the candidate. The same was sometimes true for Poliquin, though Littlefield said he didn’t feel that he shielded his candidates from the media. While Littlefield carefully guards details of his strategy, he said each campaign is different and there’s no one-size-fits-all plan for winning elections. It’s about knowing what the voters want, and need. …. But campaign success didn’t rely solely on the fiscal conservative, pro-jobs message. In all of Littlefield’s successful campaigns in Maine, he’s focused on the personal stories offered by each candidate. For LePage, it meant sharing the sometimes horrific details of a hardscrabble upbringing in Lewiston, where the future governor was the victim of domestic violence and ran away from home as a preteen. Presenting voters with Poliquin’s personal story meant focusing on the candidate’s successful Wall Street career and fortitude as a single father after his wife died while their son was very young. Littlefield said that when he joined Poliquin’s campaign in summer 2013, he knew that telling the candidate’s story was priority No. 1. Poliquin’s background as a trust fund manager could be turned into a negative, so setting the message early was key. The campaign’s first ad was a 60-second TV spot that framed Poliquin’s Wall Street success in a positive light. “They say if you can make it [on Wall Street], you can make it anywhere. Many from small towns don’t, but he did by working hard,” the narrator said. 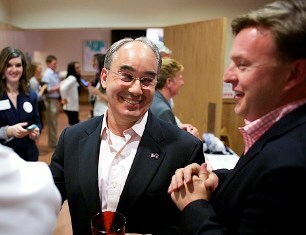 Poliquin said he was all too happy to have Littlefield on his team. He knew about how successful Littlefield could be: He ran against LePage in the 2010 Republican gubernatorial primary. LePage — who since 2010 has retained Littlefield as his chief political strategist, a role the consultant also will assume for Poliquin — said Littlefield thinks about politics so that he doesn’t have to. The two speak on the phone regularly and Littlefield, alongside Chief of Staff John McGough, is one of the governor’s closest advisers. Arlington, VA – Campaigns & Elections announced that Brent Littlefield, of Littlefield & Associates Consulting, has been awarded a 2012 Reed Award for excellence in the category of Best Use of Printed Communication by Democratic and Republican peer judges working with Campaigns and Elections Magazine. The awards were announced at a dinner Friday night in Washington, DC. The Reed Awards recognize excellence in campaign management, political consulting and political communication. The awards, named after Campaigns & Elections founder Stanley Foster Reed, embody his mission to strive for excellence in political campaigning. “The Reed Awards recognize the very best in political campaigning and communication in the United States and the rest of the world. When you win a Reed Award you’re joining an exclusive club whose members literally shape the political future with unparalleled expertise and skill,” said Campaigns & Elections Publisher Shane Greer. “My job is to assist candidates, elected officials, and organizations communicate a message. I am happy to be recognized for my work,” said Littlefield. Campaigns & Elections is the preeminent “how-to” journal of politics, focused on the tools, tactics and techniques of the political consulting profession, Published bimonthly, C&E brings readers inside the world of campaign strategy and management with case studies and insights from the movers and shakers of the political consulting world. The winning companies represent the top talent in the political and public affairs consulting business in the fields of Direct Mail, Online Advertising, Newspaper Advertising, Phones, Political Technology, Signage and Collateral Material, Radio and Television.